Our Funarena! 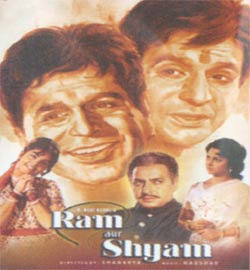 : Ram Aur Shyam! Ram wants to do good only for his people. Shyam wants to do good only for his people. One day Ram mobilises all his sisters and hold a demonstration to erradicate all injustice of the society. Next day Shyam does exactly the same. If they only join together the demonstration would have been so massive that the movers would have been shaken into action. Why don't they join hands? Why only Ram and Shyam? All wanting to do good for the people should join hands and do lasting good good and good. It's the same people. They should not get divided into Ram group or Shyam group or any other group.